Jill Rubery joined Manchester School of Management at UMIST in 1989, having previously worked at the Department of Applied Economics at Cambridge University, where she had been a fellow of New Hall and Director of Studies in Economics. She was appointed to a Chair at UMIST in 1995. From 1991 to 1996 and again from 1998 to 2007 she acted as co-ordinator of the European Commission's group of experts on gender and employment. She has also worked as the UK member of this group of experts. Professor Rubery is a member of the ACAS Board of Arbitrators. She has been Head of the People, Management and Organizations Division at MBS since 2004 and in 2007 she appointed Deputy Director for Human Resources. 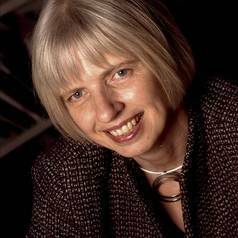 In 2006 she was elected a fellow of the British Academy and an emeritus fellow of New Hall, University of Cambridge. Professor Rubery has been involved in a large number of research projects, sponsored by the ESRC, the Equal Opportunities Commission, the Leverhulme Trust, the ILO and the European Commission amongst others. Her research work and publications have covered, amongst other topics, labour market regulation policies and the role of minimum wages; new forms of work and flexibility; women's employment and women's pay; employers' working-time policies; and international comparative labour market analyses.